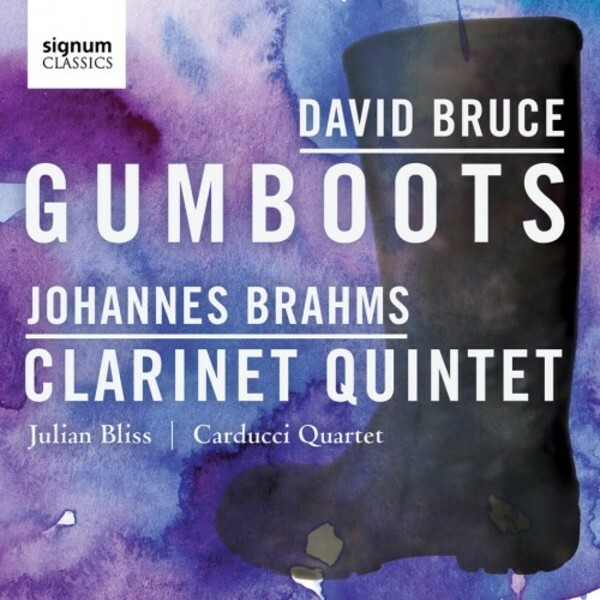 Julian Bliss and the Carducci Quartet pair two highly contrasting works – Johannes Brahms's Clarinet Quintet and David Bruce's Gumboots. "... it was born out of the brutal labour conditions in South Africa under apartheid, in which black miners where chained together and wore gumboots (wellington boots) while they worked in the flooded gold mines, because it was cheaper for the owners to supply the boots than to drain the floodwater from the mine. Apparently slapping the boots and chains was used by the workers as a form of communication which was otherwise banned in the mine, and this later developed into a form of dance. If the examples of Gumboot Dancing available online are anything to go by, it is characterised by a huge vitality and zest for life. So this for me is a striking example of how something beautiful and life-enhancing can come out of something far more negative."